Pulp from inside the seed pods of Tamarind plant, Tamarindus indica, is used as a spice to flavour curries. soups sauces etc. One of the ingredients of Worcestershire sauce and Angostura bitters. The leaf yield dyes of red and yellow. 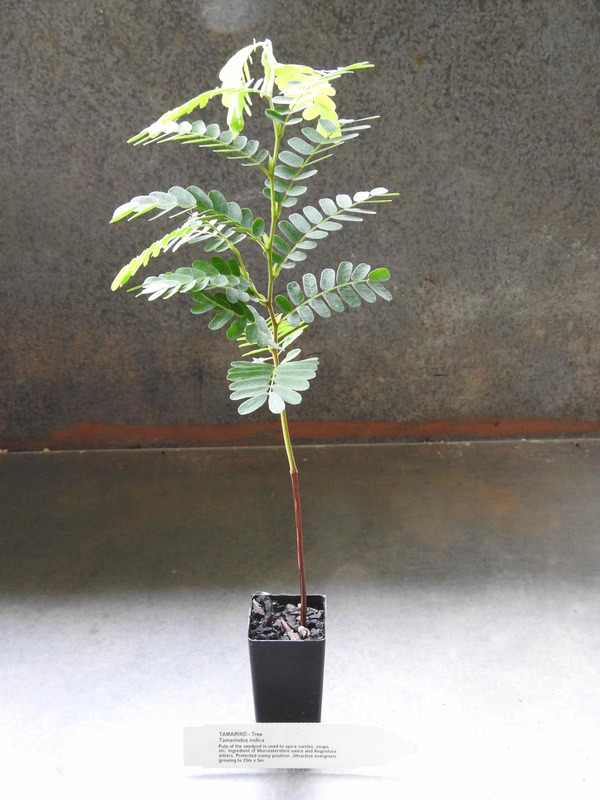 Tamarind plant is native to tropical east Africa, introduced into India. Prefers deep rich soils in a protected sunny position. Drought and frost tender. An evergreen tree, growing to 25m x 5m.